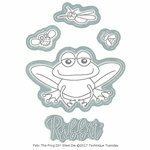 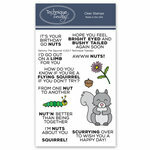 Sneak off to your craft room and create with the Robbie Raccoon DIY Steel Dies from the Animal House Collection by Technique Tuesday. 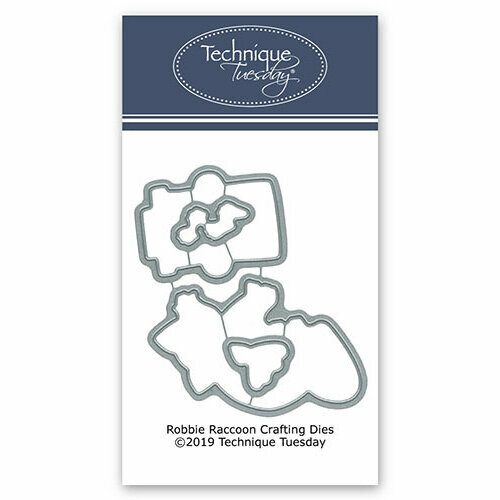 There are 4 thin metal dies included in the package that are compatible with most die cutting machines and coordinate with the Robbie Raccoon stamps (all sold separately). The pieces are in the shapes of a raccoon and garbage can. 2.5" x 1.625" to .625" x .625"